PROMO: Use Code 'SHINE' for Unlimited High-Quality CE Credits for An Entire Year for Only $50! FREE CEU Courses Purchase An Annual Subscription Now! Free Course: "Clinical Documentation: What You Need & What You Don’t"
Learn how to make your progress notes sharper, faster, and simpler with easy-to-use strategies and tips, including Elizabeth’s copyrighted progress note method, called Safety FIRST. Clearly Clinical’s low-cost podcast CE library is approved by the APA, NBCC, NAADAC, CAMFT, and CCAPP. Our courses are convenient, affordable, and distinctly modern. We produce relatable, fast-paced, podcast-based courses on topics that will help you learn and grow clinically and shine professionally. Courses are presented by experienced clinicians, including national experts, and cover topics, issues, and methods for today’s passionate providers. Isn't it time for Continuing Education to be interesting, convenient, and affordable? 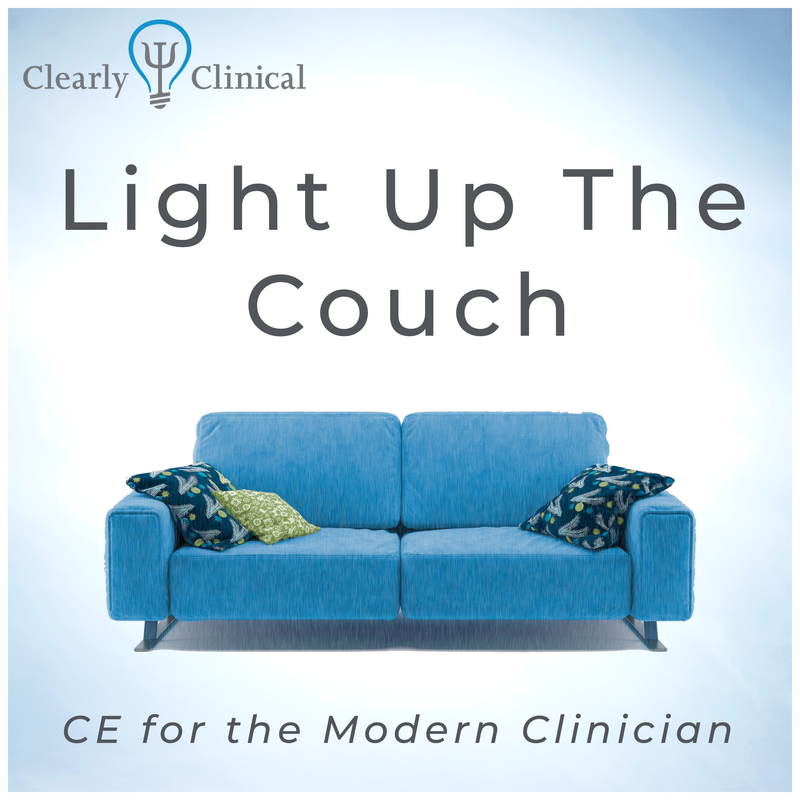 Listen to your Clearly Clinical courses on your commute or while you fold laundry. 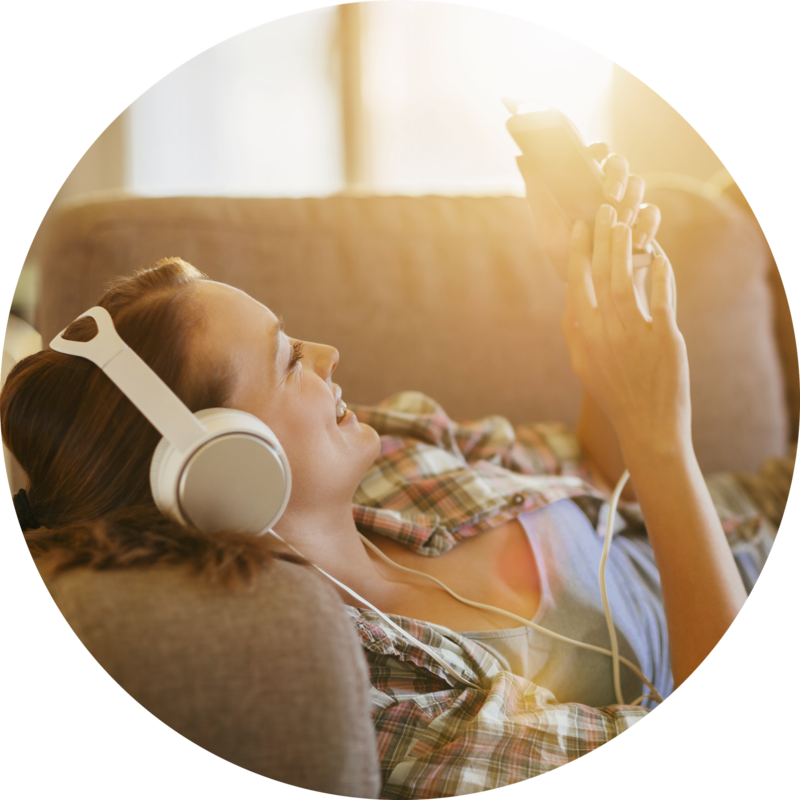 Pop in the earbuds and quickly complete your mobile-friendly course requirements. Our annual subscription includes access to all of our current courses, as well as to new courses as they're added. As Clearly Clinical founder Elizabeth (‘Beth’) Irias, a California Licensed Marriage & Family Therapist and professional Law & Ethics trainer, walked out of yet another amazing and engaging in-person continuing education presentation, she thought to herself, “If only there were a way to make this incredible content reach the clinicians who aren’t able to be here.” She realized that she had missed loads of amazing CE courses over the years due to time limitations or financial constraints, and sought to solve the problem… great, low-cost CEs could be offered online, in a modern, relevant format like podcasts. Clearly Clinical’s goal is to give you courses that answer your questions, build your skills, and help you satisfy your licensure and certification requirements, all via an affordable and easy-to-use platform. Thanks to the collaboration of passionate, experienced, and forward-thinking colleagues, Clearly Clinical came into existence. Stephen Winston, Ph.D. is a Clinical Psychologist, and the co-developer of all of Clearly Clinical's courses. He's a tenured professor and trainer, with decades of experience in the field, and shares the belief that high-quality clinical Continuing Education should be reasonably priced and convenient. Dr. Winston is a recent adjunct faculty member at the Graduate Schools of Psychology at Pepperdine University and Antioch University, and he is in private practice with offices in the cities of Santa Monica and Agoura Hills, California. Dr. Winston also supervises therapist interns at a local mental health facility, and has previously served at out-patient and in-patient facilities, Regional Center & the U.C.L.A. Department of Audiology. Areas of specialty include child, adolescent and adult age groups with special experience in object relations therapy, mood disorders (depression and anxiety), developmental issues (e.g. Asperger's and Autism Spectrum Disorders), OCD, bipolar disorder, psychotic disorders, PTSD, ADHD, aging and drug & alcohol dependence.